Fishing For Twin Cities Duplex Deals | Your best resource for buying, selling, owning and investing in duplexes and duplex homes. One of the things I cannot emphasize enough about today’s foreclosure-laden real estate market is the inordinate amount of patience it requires. In fact, the only metaphor I can come up with is it’s like a really long day out on the lake in the rain, when the fish are playing with the bait, but you can’t seem to land one. I recently had a first time home buyer submit an offer on a foreclosed property within three days of it going on the market. To the bank’s credit, they got back to my buyer with a counter two days later, which is roughly equivalent to the speed of light in foreclosure land. My client accepted every facet of their counter, except one. At his agent’s insistence (ah-hem), he held out for the seller to purchase a home warranty for the property. After all, nobody really knew anything about this house. None of the bank’s employees had lived there and the homeowner who lost the property was long gone. A warranty was a great way for my buyer to be covered in the event of any surprises. It took the bank nearly a month to get back to us…over a price difference of $400. I had another client write an offer within five percent of the list price on a duplex in St Paul. This time, it was a short sale. It took the bank well over a month to respond; with a “yes”. On Mother’s Day, I had a father/sons team write a full price offer on a gorgeous Mediterranean duplex in southwest Minneapolis. Again, it’s a short sale. This time, it may not be the bank’s fault that we haven’t heard anything. It seems the seller neglected to tell the listing agent there was a second mortgage on the property. (Yes, a home equity line is a mortgage.) It seems the holder of that note would like to be paid something. And so, we sit. And wait. There are lots of big deals in the marketplace waiting to be landed. 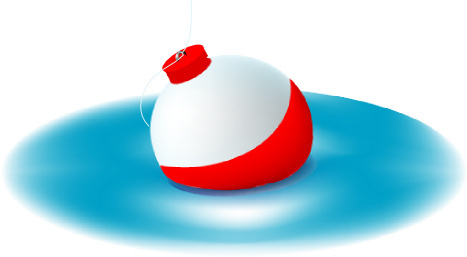 Just remember…you might have to sit and watch your bobber for a really long time before you can lift one into the boat.